What is a curved stair lift, and how is it different from a straight stair lift? The term curved stair lift may bring up a picture of a stair lift on a track that literally curves as it goes up the stairs. That is not what a curved stair lift is. A curved stair lift is typically one long stair lift that has a straight run at the top and a straight run at the bottom, with a section in the middle that turns (once or twice) either 90° or 180°. A curved stair lift is often the best option when the stairs are not straight stairs. The curved stair lift is custom built, and therefore is substantially more expensive than a straight stair lift. It typically requires much longer for a manufacturer to make and ship the curved stair lift. 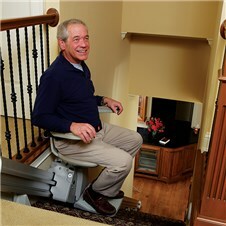 In contrast, local stair lift installers often have straight lifts in stock. 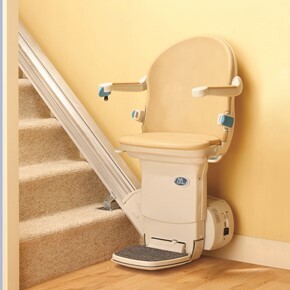 Atlanta Stair Lifts typically installs Sterling Stair Lifts. 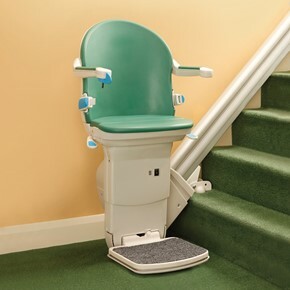 These stair lifts are very reliable, reasonably priced and attractive. Sterling/Handicare makes straight stair lifts, curved stair lifts, and a vertical platform lift (Sterling 9000). 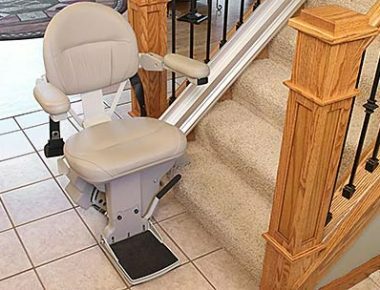 An Affordable Option: One affordable option we sometimes offer to a person shopping for a stair lift is to have two straight stair lifts installed, instead of one curved stair lift. 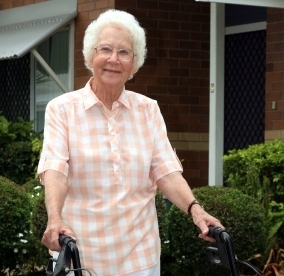 Two stair lifts require that the person with the disability transfer at the middle landing. 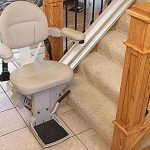 This option is not feasible for everyone, and is not preferred if a curved stair lift is affordable. How long will it take to have a stair lift manufactured to specification, shipped and installed? 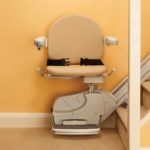 How does a curved stair lift work? Contact Stair Lifts Atlanta at 770.880.3405 today, for your free in home appointment with a fully insured and State of Georgia certified stair lift expert. You may also contact us through the Atlanta Home Modifications website. 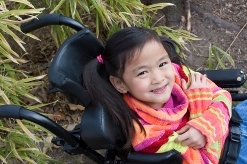 We are aging in place and universal design experts offering complete accessibility and disability home modifications in the metro Atlanta and North Georgia area, including Riverdale, Rome, Roswell, Snellville, Stockbridge, Suwanee, Toccoa, Tucker, Warner Robins, Winder, Woodstock, Greenville, Griffin, Jackson, Jefferson, Jonesboro, Kennesaw, Loganville, Buford, Canton, and Carrollton; in Georgia and South Carolina. 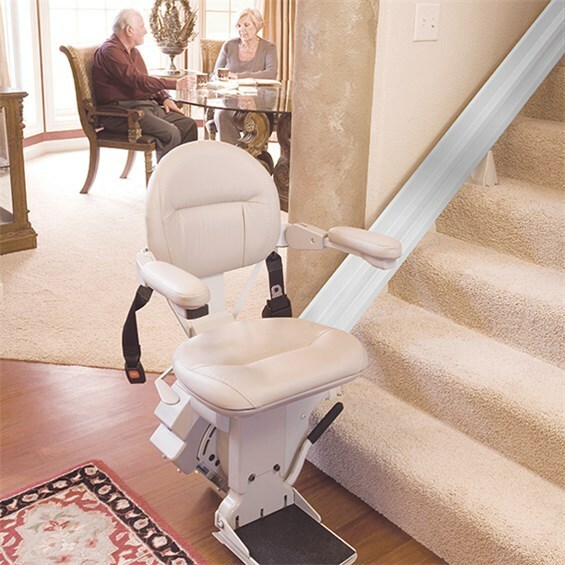 This entry was posted in Curved Stair Lifts, Sterling Stairlifts from Handicare, The Atlanta Home Modifications and tagged AtlantaHomeMods.com, Handicare Sterling 9000 Porch Deck Vertical Lift, Sterling 1000 Straight Stair lift, Sterling 950 Straight Stair Lift, sterling Straight and Curved Stair Lifts by Handicare. Bookmark the permalink.